If you’re looking for a low maintenance Adelaide carport, building with steel and other metal components is not just a smart choice, it’s a good looking option to boot. Many years ago you essentially had two choices when it came to structural materials for an outdoor project – timber and steel. Timber was the choice if style, character and budget were your main considerations, while steel was the best option if you wanted a low maintenance carport, pergola, patio or verandah. But times have changed and so has steel, and that’s why you should consider it for your new Adelaide carport. Superman wasn’t called the Man of Steel for nothing! Yes, steel is strong. Not only is steel strong, it maintains that strength and durability for a long time, and won’t rot, warp or twist. Today’s structural steel look great. Yes, it really does! Structural steel comes in a variety of colours to suit your existing home and needn’t be plain or boring. Take Firmlok® beams for example. They’ve been developed for “maximum aesthetic and structural performance” and feature a profile to provide a similar appearance to that of traditional timber beams. No longer is building a metal carport an expensive option. In fact, in some cases it can be cheaper building a steel carport than a timber carport. Building in steel can be quicker, because it’s fabricated off-site and can then be erected quickly, in position at the building site. Steel is also good for the environment because it’s fully recyclable. You can build a new Adelaide carport totally from steel and metal, by using pillars, posts, beams, roofing sheets, gutters and more made from steel. One thing that hasn’t changed, however, is the low maintenance characteristics of steel. If you choose steel for your Adelaide carport, you can rest easy… And rest long. Because your carport won’t need any maintenance for many years to come. 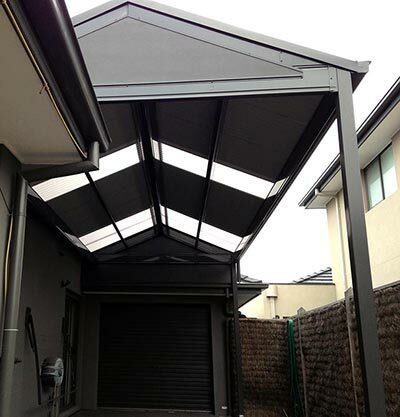 For more information on the advantages of building a metal carport, see the blog page on our website or visit http://www.mrcarports.com.au/mr-carports-adelaide.